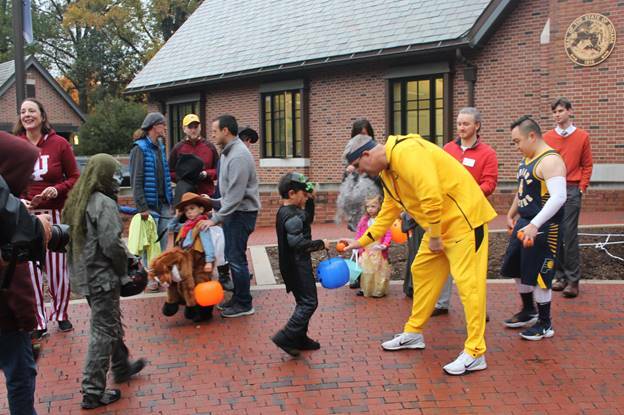 INDIANAPOLIS-- Hundreds visited the Governor’s Residence to trick-or-treat this Halloween. Volunteers wore basketball-themed costumes. Gov. 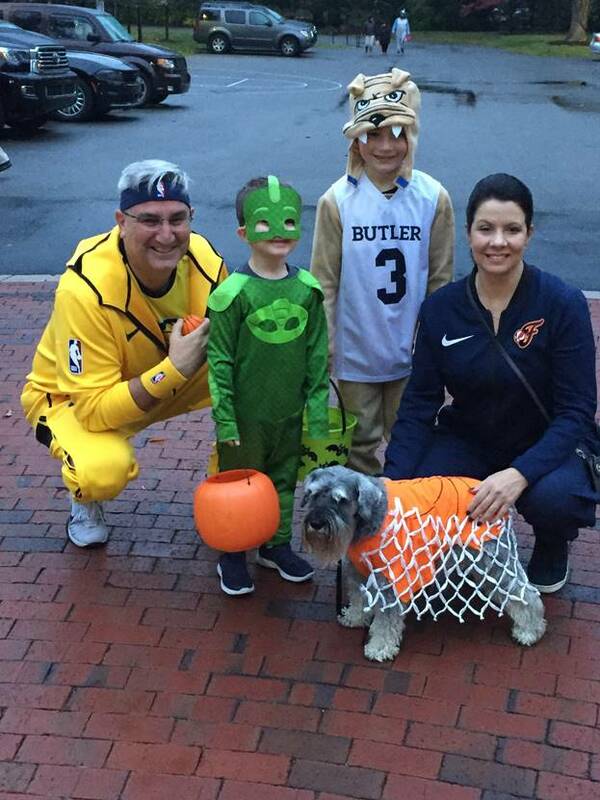 Eric J. Holcomb wore Pacers warm-ups, and First Lady Janet Holcomb wore Fever warm-ups. First Dog Henry Holcomb dressed as a basketball with a costume made by the first lady.